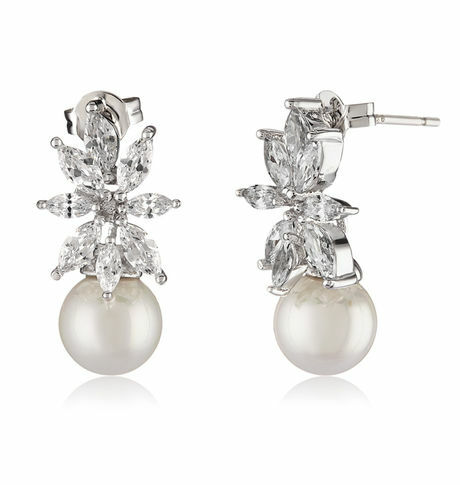 Chic and sophisticated, these gleaming pearl drop earrings make you look like a princess. Meticulously designed and crafted with cubic zirconia stones and a faux pearl, the sparkling drops are fit for a diva. Chic and sophisticated, these gleaming pearl drop earrings make you look like a princess. Meticulously designed and crafted with cubic zirconia stones and a faux pearl, the sparkling drops are fit for a diva.Cancellation and Return Policy: • Exchange allowed post booking • No order cancellation or Refund transaction allowed at the store.